Fuerteventura is one of the group of the Canary Islands situated on the West coast of Africa, the main others being Tenerife, Lanzarote and Gran Canaria. Like its neighbours, it is the product of historic volcanic activity which gives rise to the varied rocky terrain. It’s beaches generally benefit from long wonderful stretches of pale golden sand that is perfect for naturist holiday lovers. 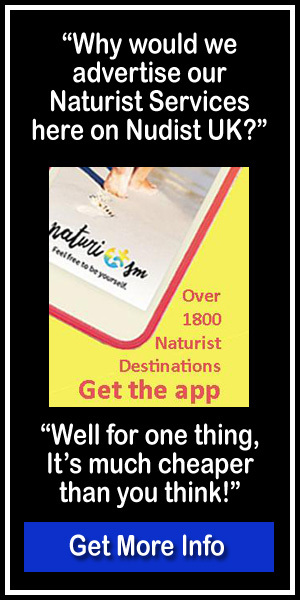 Naturism is a strong part of the Islands appeal, and although there aren’t any designated naturist beaches as such, you will find that there are plenty of beaches where nudists and non-nudists (Textiles) sit side-by-side quite contentedly. The most popular naturist beaches in Fuerteventura are the South east beaches that stretch from Morro Jable to Jandia and beyond towards Costa Calma. There is very limited naturist activity at the Morro Jable end but as you walk Northwards towards Jandia the beaches flatten out and widen allowing scattered groups of dedicated nudists to bask in the Canarian sun. Much further along the beach, well past the lighthouse, you’ll find that the inland scenery of the beach changes from hotel and holiday resort type activity to a rocky backdrop and inlets that provide a bit of privacy to the recumbent naturists. For a sun-worshipping naturist, the beaches around Jandia are hard to beat, and there is plenty to do in the immediate area. Shops, restaurants, hotels and bars abound and there are some very affordable hotel deals to be had. If you have a hire car, (preferably a four-by-four, although not essential) you may want to take a trip Southward around the island to the southwest coastline to explore some of the lesser known beaches, particularly if you are a first-time nudist. It makes for quite an entertaining day out to navigate some of the “roads” which are being updated very gradually. There are some decent restaurants dotted around, but try to pre-plan before you set off. Fuerteventura is a fabulous island for a naturist holiday and similar to Gran Canaria, very multi-national, but there are areas of the island where there are predominantly German naturists and also British naturist patches. These are not designated areas, but it seems that there are more British holiday makers in Caleta de Fuste, which is roughly half-way up the island, than anywhere else in Fuerteventura. Caleta de Fuste doesn’t seem particularly suitable for naturists with its man-made beaches and sea-side frontage, but if you take a trip to the north of the island you will come to the town of Corralejo. Corralejo has an abundance of holiday activity, great restaurants, shops, bars, eateries and also main stream, High street style shopping. It boasts great night life entertainment. On the fringe of Corralejo, to the east is the Gran Hotel Natura Naturist which is a dedicated naturist hotel offering 44 self catering style apartments, two swimming pools, numerous facilities and glorious views of the Atlantic ocean and the expanse of white golden sands. The Gran Hotel Natura has a gym and a sauna, and a wonderful team of staff who will make sure that your naturist holiday is one to be remembered – for all the right reasons! Further east of Corralejo, about twenty minutes walk or about three euros in a taxi, there is the Oliva Beach Hotel which is set on a long white sandy beach, where naturists can swim or enjoy recreational activities, or just nestle in one of the many man made bunkers that are dotted around, which afford protection from the occasional Canarian breezes. 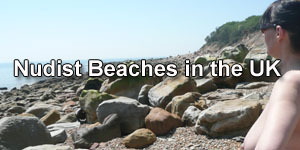 The beach is ideal for seasoned naturists, first time nudists, or non-nudists.All are welcome! To the west of Corralejo and on the north-west coast of Fuerteventura lies the town of Cotillo. Cotillo has the feel and look of a small fishing village with a few stunning restaurants, and as you look around the bus terminal area, you could be forgiven for thinking that the place is lifeless – particularly at siesta time, but as you head towards the seafront and walk past the rocky part of the shoreline a pleasant surprise awaits! There are beautiful soft sandy beaches playing host to naturists and textiles alike, with the natural bay allowing shallow bathing in the calm blue waters of the Atlantic. This is true nudist relaxation, with no shops or bustle, just the sound of the waves lapping at the shore. There are restaurant and toilet facilities on this part of the beach, and as you wander further up, you’ll find tents and motor home style accommodation nestled amongst the natural mixture of vegetation and sand. Fuerteventura is a naturists paradise, and you can pick up some very good deals. Why not make a quick enquiry by filling in the form on this page. I think we can guarantee that you’ll be glad you did!